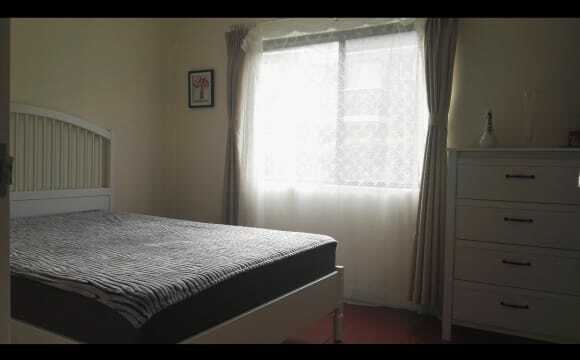 Room for rent near Macquarie University!! 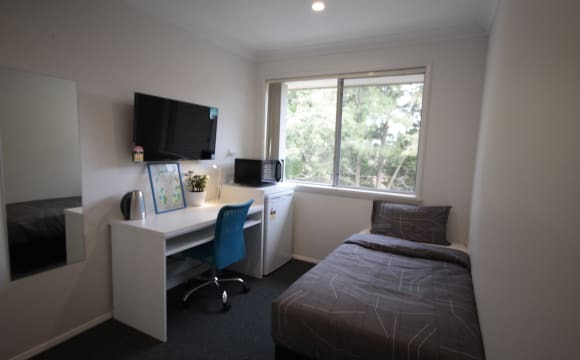 We live next to Lane Cove National Park, therefore, if you love immersing yourself in nature and enjoy waking up in the morning by sounds of birds, then this is the perfect place for you. $230 per week inclu unlimited internet + electricity( around $10 per week). One single bedroom available in a 3 bedrooms apartment. Only for one single person, no couple thanks. It's on the second floor of the building with stairs. Double brick unit cool in summer and warm in winter. Renting term is flexible with 3 weeks notice for each part. Pretty new double size IKEA timber bed frame and mattress (a few months old). Full furniture sunny single room! near MQ Uni, bus stop. Life style &amp; Location! A place like home! Sunny, quite and convenient place. Near Macquarie University, Macquarie Shopping centre, Macquarie Park, North Ryde. Lane Cove National Park only 5 mins walk. Door step CBD buses 292, 293 (Express) 36mins to city at peak time. Lots of visit parking, and road side parking. 5 mins walk to macquarie university. GYM 2 mins. Coffee and resteraunt 3 mins walk. Swimming pool 10 mins walk. A social tennis club nearby. Macquarie park shopping center/cinema 5 mins driving. Unlimited TPG internet plan. There's 3 bedrooms, only 1 person in each room, so won't be more than 3 people in total in this place. Not party place. 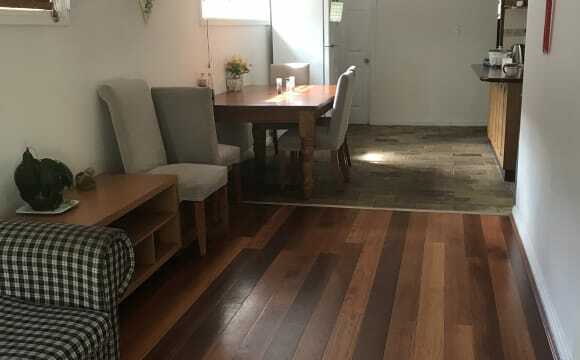 Freshly renoved shared house 10 minutes walk to Macquarie University and 3 minutes walk to express city buses! $250 P.W - Includes ALL bills and FREE HIGH SPEED INTERNET! ✔ Fully Furnished private Single Room with your own key ✔ All brand new furniture and mattresses, ✔ Queen Sized Bed ✔ Study Desk ✔ Built In Wardrobe ✔ Ceiling Fan ✔ Parking space in locked up garage subject to availability ✔ Bathroom shared with maximum 2 others in the house ✔ Access to great communal area that includes a spacious kitchen, dining area and cosy living room. Easy Access to: ➣Macquarie University (10 minutes walk) ➣Buses to city (3 minutes walk to bus stop) ➣Great local cafes and shops (5 minutes walk) ➣Gym and swimming pool (10 minutes walk) ➣Macquarie Shopping Centre (10 minutes bus ride) ➣Macquarie Business Park (5-10 minutes bus ride) Couples room with ensuite also available - please inquire for more details! Very specious house. You will love it. 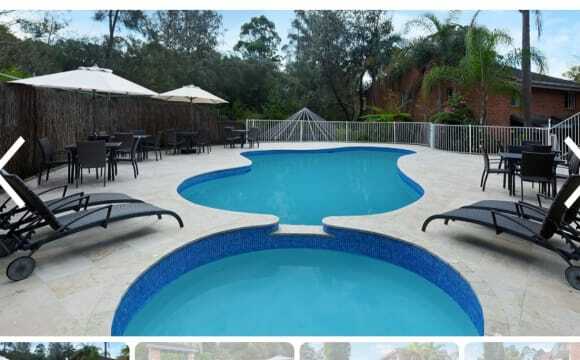 Its also includes free gym and great pool. Room is available in townhouse. Separate bathroom (next to the room), walk-in wardrobe. The room approximately 12sqm. 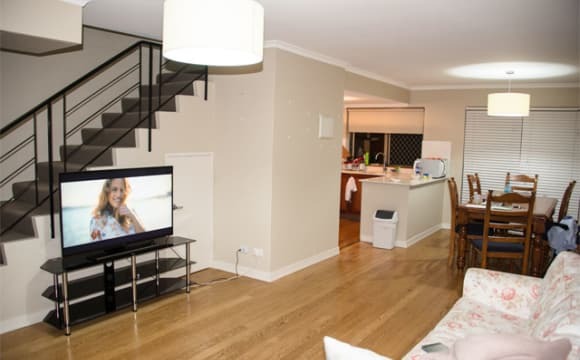 (included double bed) a walking distance to Macquarie University. Features separate large living and dining areas. Less than 3 minute walking distance to Bus station.. I am looking for people who are responsible, clean and tidy. Will be sharing the house with another professional worker. Swimming pool and gym access are available. Please message or call me if interested. Near the Macquarie University, Bus station. Friendly environment. Clean and quiet place. 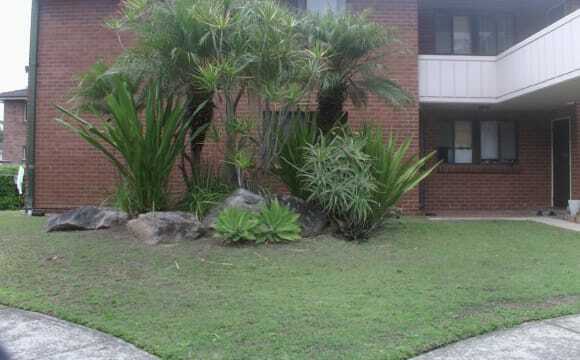 Walk 20 minutes to Macquarie University, beautiful environment, new furniture, quiet street. This two bedroom townhouse has everything you need. Ideal for a working pro or a uni student. 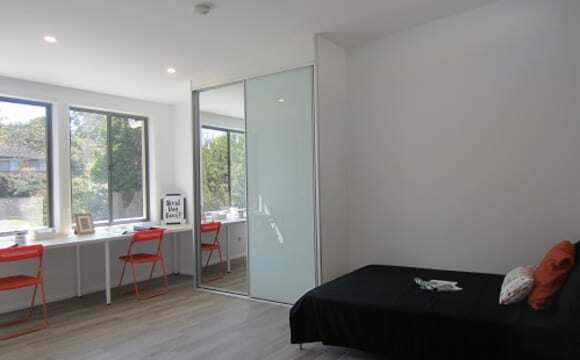 Conveniently positioned within 5mins from Macquarie uni, station and the Macquarie Centre. For anything else - feel free to ask! Private bathroom, big windows with an amazing view of the forest. Only five minutes walk to university! In addition free dinner once per week and amazing events at the deck. Send WhatsApp or e-mail if you are interested! Enjoy this complex with lovely relaxing resort lifestyle, swimming in the pool, dinner at outdoor BBQ and wellbeing gym. Luxury renovated townhouse with spacious indoor living areas, balanced outdoor life, beautiful double balcony, private yard to entertain family and friends. $150 for single person -Single bedroom with wardrobe, desk, and single bed. - No window in the room but there is big skylight and it could be opened. 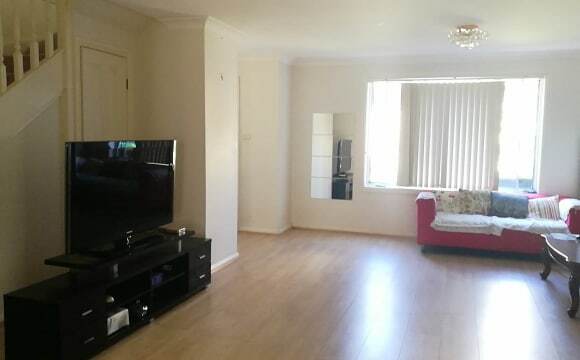 This beautiful townhouse is closed to Macquarie Uni,5 mins walk to Macquarie University. Bus 292/293 in front of the door directly to the city. Bill is included water and unlimited internet only. There are 2 heaters and air conditionings, so electricity can not be covered. The flatmates shared the electricity equally. This townhouse is clean and spacious. It is suitable for MQ students and the young professional person who is working in Macquarie Parks or City. A very good place to socialise and make friends. 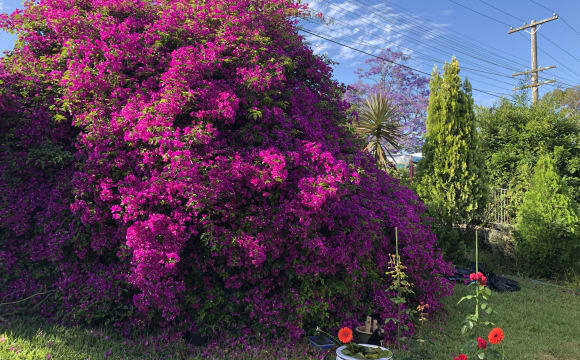 Close to mq uni (5 mins walk) and also to mq gym.